Nathan Birnbaum was born May 16, 1864 in Vienna. Birnbaum was raised in an observant Jewish home in Vienna to a family who came from the eastern provinces of the Austrian Empire. He participated in the First Zionist Congress in 1897, but already by this time he was beginning to identify more with cultural, rather than political, Zionism. 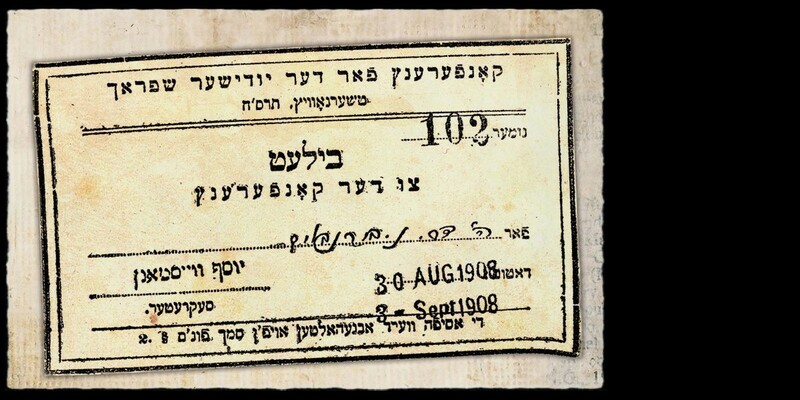 Birnbaum's personal ticket to the Czernowitz conference, which he himself helped to organize. 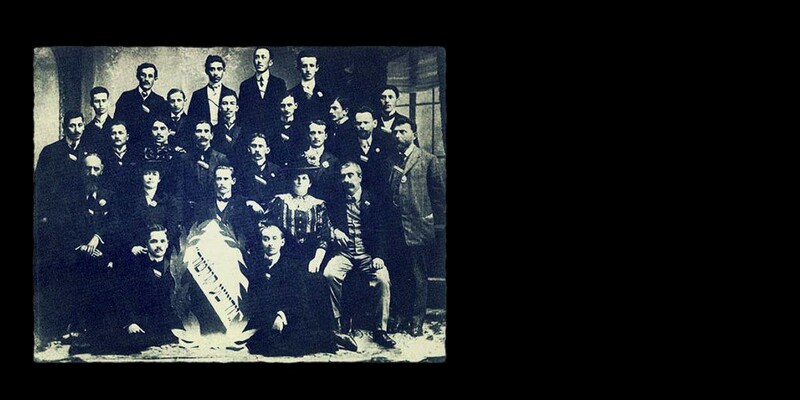 Here is Birnbaum (seated far left in the first row from the bottom) along with other leading figures at the 1908 Czernowitz Yiddish Language Conference, including Y.L. Peretz (far right of same row) and Sholem Asch (standing behind Birnbaum). Birnbaum in later life, when he had reverted to Orthodoxy and became involved with the Agudas Yisroel party. 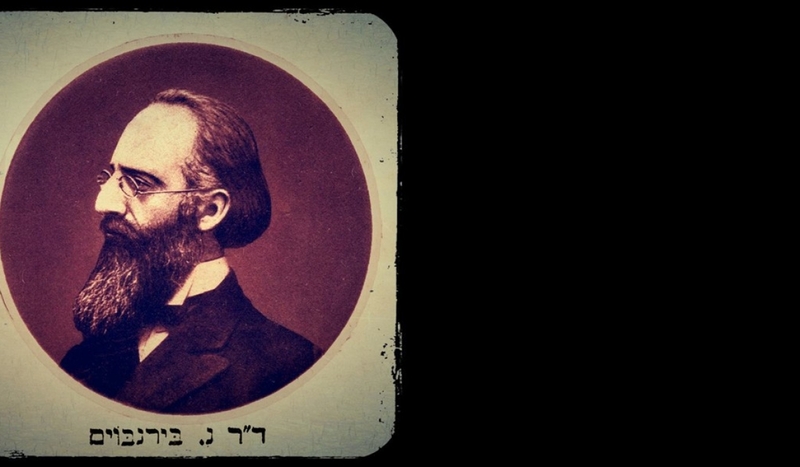 Though Birnbaum was a native German speaker and did not learn Yiddish until later in life, he began to advocate for Yiddish as the national language of the Jewish people and played a central role in organizing the historic Czernowitz Yiddish Language Conference in 1908. He was also an active and influential political advocate for the rights of Jews in the Austro-Hungarian Empire. 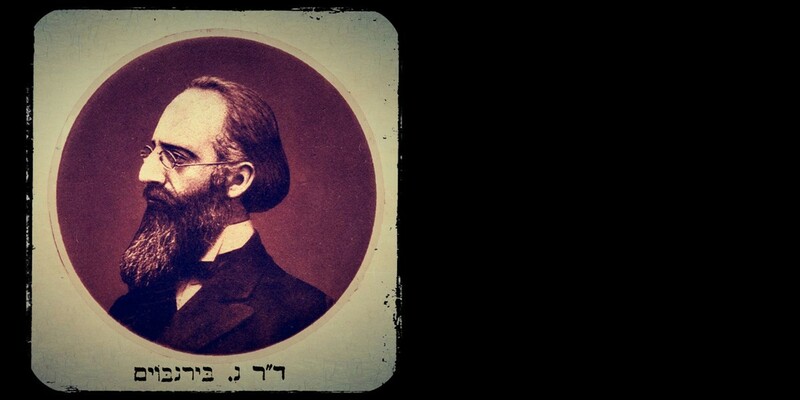 As Birnbaum grew older and more engaged with Eastern European Jewish life, he reconnected with the observant Judaism of his childhood, eventually distancing himself from his secular Yiddishist activity just as he had earlier from Zionism. 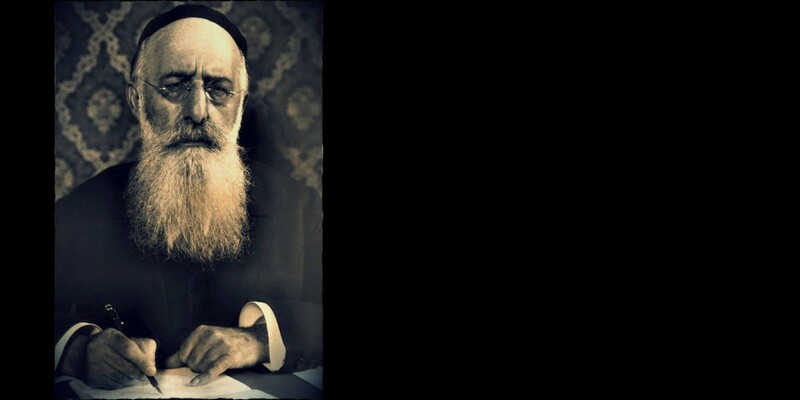 In 1919 he became the first General Secretary of the Agudas Yisroel party. In 1933 Birnbaum was forced to flee Berlin, where he had lived for 20 years. He died in 1937 in The Hague.